Furniture removal in Durban is an expensive service to make use of. As a result, many people attempt their own household moves and end up regretting it on moving day. At Power Truck Hire, we offer a low cost alternative to furniture removal in Durban that will not empty your bank account. When booking a move through us, you’re essentially renting a moving truck. We provide you with a truck, a driver and the choice to hire additional assistants. You are responsible for packing up your house, providing boxes and protective transport materials such as blankets. This is where the big cost saving comes in compared to traditional Durban furniture removal companies. All you need to do to book a move in, out or around Durban is give us a call on 0861 44 55 44. Our sales team will provide you a quote based on the size of your move as this will determine the sized truck that is dispatched to you. Once you’ve accepted the quote and made payment, your move will be booked. 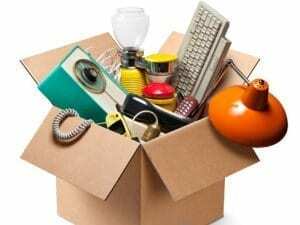 Furniture Removal Durban – Book Now! To get a quote or to find out more information about furniture removal in Durban, please give us a call on 0861 44 55 44 or email us at info@powertruckhire.co.za. Our moving service is also offered in: Johannesburg, Pretoria, Polokwane and Cape Town.